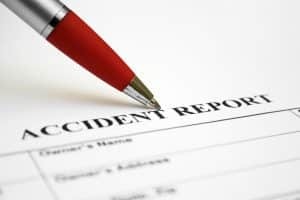 Accidents and Injuries - It is no secret that even the most careful and law abiding residents of southern California can be involved in an accident when they least expect it. Accidents can happen in the blink of an eye, leaving victims confused and in pain. When your injuries are the result of a negligent third party, you have a legal right to seek damages for those injuries under California state law. If someone else is at fault for your injuries you are entitled to seek compensation to help cover medical expenses, lost wages, other damages and possibly more under California personal injury laws. If you or a loved one is suffering from injuries after an accident, it is important that you act quickly to secure the best accident attorney possible to represent your claim. At Napolin Law APC, we understand that experience counts when it comes to securing the maximum settlement possible for our personal injury clients. While we can't go back in time and save accident victims from becoming injured, we can represent their claims in court to make sure they get the settlement they are entitled to. In fact, the complex system of personal injury law is designed to do just that, by making sure the plaintiff is rightfully compensated and "made whole" once again following an accident. Personal injury claims stem from a situation where a victim suffers harm due to an accident or injury where someone else is responsible their harm. Injuries can be defined in many different ways but most often an injury is defined as the violation of a person's legally protected interest. This can include harm done to your mental or physical well-being, your personal property, or in some cases, your reputation. When another party violates these interests, they can be held legally responsible for any harm done. Whether you choose to seek compensation for these damages by pursuing a formal lawsuit or through an informal settlement agreement, it is important to put your trust in an experienced personal injury attorney to ensure you get the maximum settlement that you are entitled to. Just because accidents and injuries happen every day doesn't mean that they shouldn't be taken seriously, especially when they result in injury. For those who have been injured in an accident, dealing with feelings of guilt, fear, stress and uncertainty about the future are very common. Luckily, with the help of an experienced accident attorney like Alexander D. Napolin and his dedicated legal team, victims can exercise their legal rights under personal injury law and get the compensation they deserve. Most often, in personal injury claims the term damages refers to some type of award for the plaintiff's injuries, usually monetary. Under legal theory, damages are awarded in an attempt to make the plaintiff "whole" again after an accident. 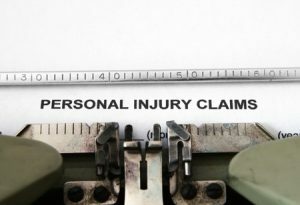 Most often, there are two types of damages awarded in personal injury claims, compensatory and punitive. Compensatory Damages - Awarded in order to help compensate the plaintiff for injuries sustained in an accident or wrong. 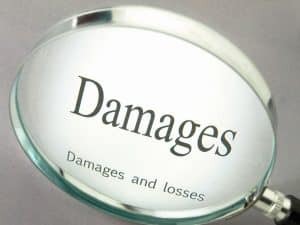 Punitive Damages - Separate from compensatory damages and usually reserved for instances of more malicious and severe actions committed by the defendant. When you or a loved one has been injured in an accident, it only makes sense that you would want to pursue the maximum amount of damages available under California state law. With the help of an experienced attorney like Alexander D. Napolin, you can get peace of mind knowing that you have the best legal representation available when seeking the maximum settlement from insurance companies and the defendant in your claim. When you hire Napolin Law APC to represent your personal injury claim you can rest easy knowing that you have the most experienced and dedicated legal team in southern California working hard to get you the settlement you deserve. While many personal injury claims may look similar from the outside looking in, we understand that each case is different and complex. And although California state law allows accident victims to represent themselves in court, we know that it pays to have an experienced attorney by your side to guide you through the legal process. Need an Accident and Injuries Lawyer? Contacting a Personal Injury Lawyer can be your best option when it comes to Accident and Injury Claims. 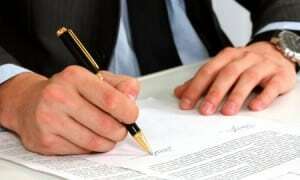 Learn more about our Law Firm. Nothing is more overwhelming and stressful following an accident than trying to navigate the legal system and dealing with insurance companies on your own. At Napolin Law APC, we want to help guide you through the legal process to make sure you get the settlement you deserve. With our expert knowledge of California state personal injury laws and years of experience in court, you'll greatly increase your chances of getting the maximum settlement possible when you work with us. 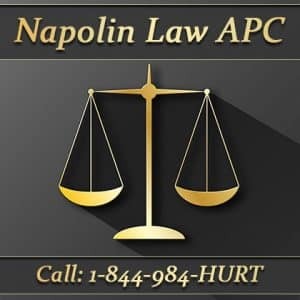 If you or a loved one was injured in an accident, visit Napolin Law APC online today to get a free initial consultation. Don't delay, call our dedicated team at 1 (909) 325.6032 or visit us online today so that we can begin working on your claim! When a person gets hurt through an accident or injury, it is only natural to feel overwhelmed, uncertain, stressed and angry about the situation. Luckily, when someone else is negligible for your injuries, pursuing a personal injury claim with the help of an experienced attorney is your right under California's personal injury law. No matter the severity of your injury, you have the legal right to pursue a payout to help cover damages you incurred as a result of any accident. If you or a loved one has become injured in an accident due to another person's negligence, it is a good idea to seek the help of a knowledgeable personal injury attorney to take on your claim. 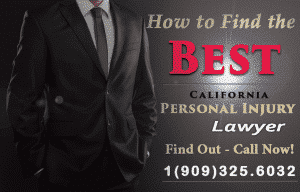 A good attorney will work quickly to evaluate your case, enduring that your legal rights are being protected under California state laws. With a free initial consultation, personal injury attorney Alexander Napolin and his team of experts can explain to you what to expect through each step of the legal process. From the beginning research stages of the case to collecting important records and negotiating with insurance companies or opposing counsel, working closely with a top personal injury lawyer greatly increases your chances of reaching a settlement. If you or someone you know has been injured in an accident it is important to act now to start building your case with an experienced and knowledgeable personal injury attorney. Working with an attorney who specializes in personal injury law can greatly increase your chances of obtaining the maximum payout from insurance companies and those responsible for your injuries. For more information on personal injury law and to get a free initial consultation, visit the Alexander Napolin Law Firm online today!